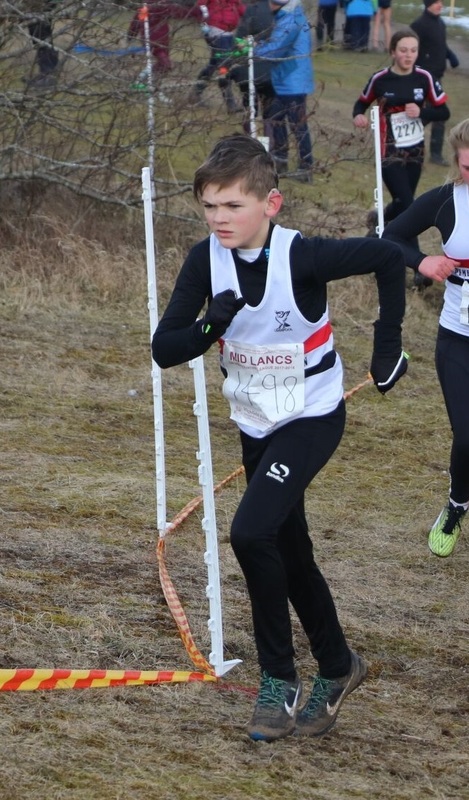 The final Mid-Lancs cross country race of the season took place at Ulverston in the southern Lake District. It was however, a disappointing finale to the season for LPS runners, with only 11 making the journey north. The adverse weather conditions of the previous week, together with the 3 hour round trip, seemed to deter runners from travelling. This was new course, put on by Glaxo Hoad Hill Harriers and it contained a variety of surfaces underfoot which probably would have suited fell shoes rather than running spikes. 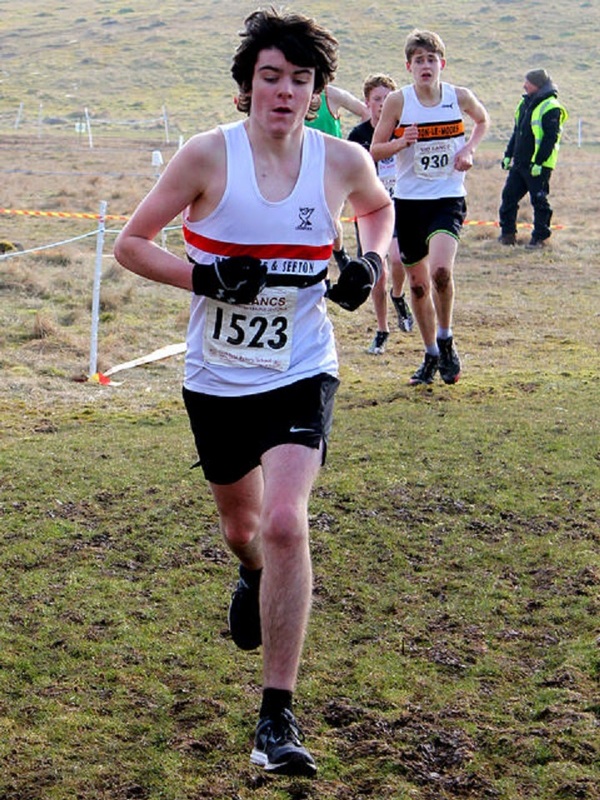 It was a challenging course and the runners had to contend with temperatures barely above freezing. 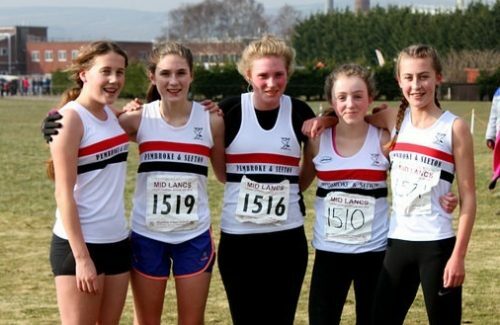 Only the U15 girls completed a team and they finished 3rd on the day. Jenny Williamson was again the first club runner home finishing 9th, with Annabelle Corllett(12th) not far behind. 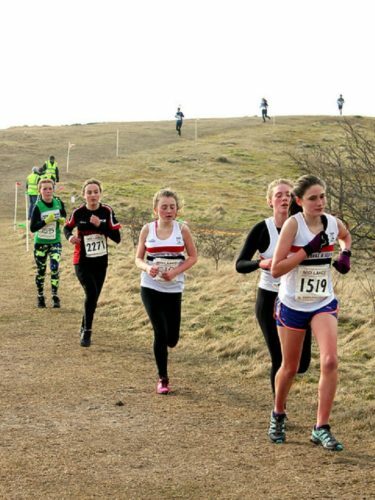 Hannah Doyle,(16), Phoebe Lucas (17) & Faye Hannaway(18) ran well together, before Hannah just got the judges verdict over Phoebe, with both runners recording the same time. The girls were hoping for a medal, but the results from other clubs pushed them down into 5th place overall, with only the best 4 results of the season taken into consideration. In a season which started with so much promise, none of the club’s junior teams managed to get in medal positions. The failure to put the strongest teams out in all matches proved costly in the end. 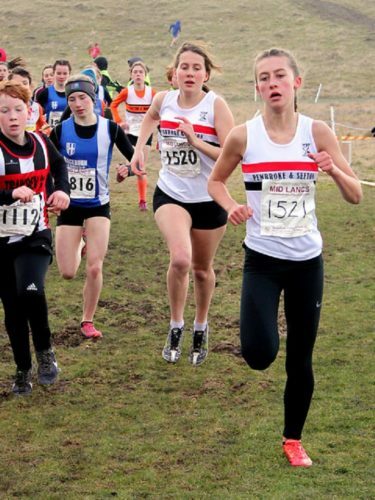 However, the senior women claimed the silver medal in division one behind Blackpool Wrye & Fylde and Edge Hill student, Tiffany Penfold, was rewarded for her consistency over the season by claiming the individual U20 women’s title.